The M16 Bravo One replica semi-automatic paintball marker is our most sought after, exclusively available at Delta Force paintball centres across the UK. But, what makes it so special? Well, it features an 11” barrel with built in sight, a collapsible stock and removable magazine; making you feel like a real-life action hero! But you’ll have to be quick – there’s only a limited amount of these guns available for rent on the day (for an additional £10). If you’re not quite quick enough to get your hands on one of our awesome upgrade guns, don’t worry… You can still use our other top-quality paintball markers, like the Inferno Field Mk2 . This semi-automatic paintball gun has a 300ft sightline and a quick-fire action (of up to 7 rounds per second!). Other key features includea double trigger, metal stock, de-clogging paintball mechanism, sculpted barrel; a more comfortable fore grip, integrated neck feed, reliability and durability during game play and a sleek and stylish design. These guns also run on compressed air, making it one of our most reliable and cost-effective pieces of equipment, ever. In addition to these two fantastic paintball guns, we offer the Tippmann paintball markers: ’98 marker and the FT2-12. The Tippmann ’98 includes an anti-chop system modification, meaning that whatever the conditions, you’ll shoot with optimum accuracy and firepower and increased stability. The other model (introduced in 2012) is the flip-top Tippmann FT-12. This paintball marker is similar in appearance to the replica IMI Uxi used by Arnold Swaznegger in the cult-classic film, ‘The Terminator’. It features built-in sight front and back, an 8” barrel and a quality, ergonomic grip. At selective Delta Force Centres, we also offer the mini-ball Spyder 0.50 calibre paintball markers. These guns are only used for mini paintball events and designed specifically for children aged between 8 and 10. The Spyder is a smaller, lightweight paintball gun which uses smaller paintballs; creating a softer impact when participants are hit. Consequently, these events have proved popular with our younger players who may feel a bit daunted by our standard paintball games. 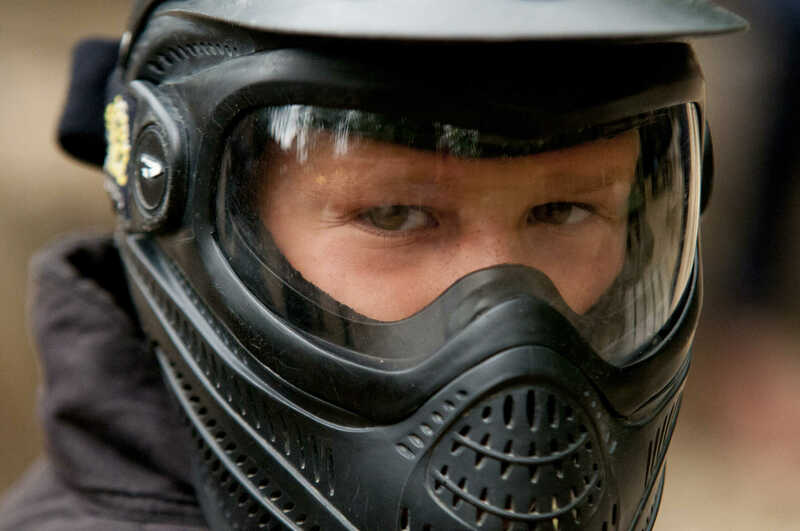 Mini paintball is currently only available at Delta Force Surrey, Kent, East London, North West London, Southampton, Birmingham, Coventry, Leeds and Cardiff paintball centres.